The Westfield Shoppingtown Expansion EIR analyzed the potential impacts associated with expansion and renovation of the City of Arcadia's only regional mall. The proposed project consists of a General Plan Amendment (G.P. 99-001), Zone Change (Z-99-003), and Text Amendment (T.A. 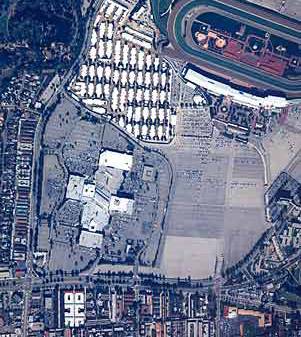 99-006) to allow the construction of a 600,000 square foot expansion to the existing Westfield Shoppingtown in the City of Arcadia. The project consists of expanding and renovating the existing shopping center, adding up to an additional 600,000 square feet of gross leaseable area. 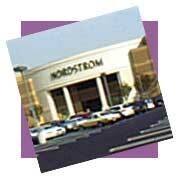 The expansion will include the addition of new tenants and use categories not currently located in the mall. Potential new tenants and use categories include a multi-plex theater, various restaurants, lifestyles tenants, department stores, and entertainment and speciality retailers. The total allowable gross leaseable area after expansion would be approximately 1,522,450 square feet. Additional parking spaces will be added as necessary by combination of restripping existing parking areas and/or the addition of parking decks in order achieve a parking ratio of 4.5 cars per 1,000 square feet of gross leaseable area. The EIR focused on various environmental issues including traffic, air quality, noise, aesthetics, and land use compatibility.